Your appeals court ruling link is coming back “not found” so I’m not sure if you’re referencing the 2007 appeal of Prokop v. City of Los Angeles. Thanks, for the heads-up, Will. It looked right on my screen, so I had no idea it wasn’t linking. And I appreciate the link to the L.A. case! This particular case was Amberger-Warren v. City of Piedmont. The link should be fixed now, so you can click on it to read the entire ruling. 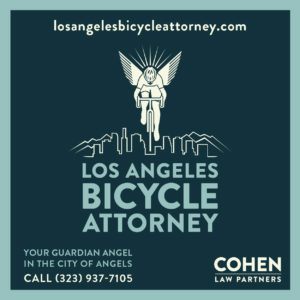 Attorney Vahedi interprets the language of California Government Code Section 831.4 to include Class II (any) bike paths on city streets. I interpret the language for a)unpaved road, b)trails and paved trails but not to city streets. Line 6 of the Code gives the reason for the exclusion of city streets. Line 6 reads “… riding, water sports, recreational or scenic areas and which is not a (1) city street or highway…” . Does anybody see how government immunity from Section 831.4 applies to bike lanes on city streets or highways? As a non-attorney, I can’t say I’m clear on exactly how that applies, myself. 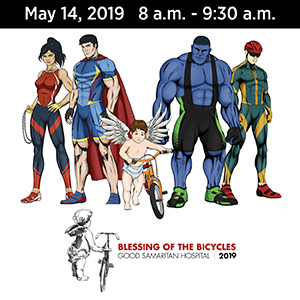 However, Vahedi is well versed in this law, since he litigated a case in which a cyclist was severely injured while riding in a Class 2 bike lane when the roadway crumbled beneath him. He took the case all the way to the California Supreme Court, which ruled against him based on 831.4 and Amberger v. the City of Piedmont. 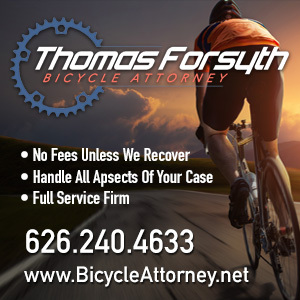 According to Farnham v. LA the cyclist was riding on Sepulveda Basin Bikeway which is a Class I paved bikeway not a Class II on a city street. All the cases I read involving Class I bike paths attach immunity by virtue of Code 831.4. 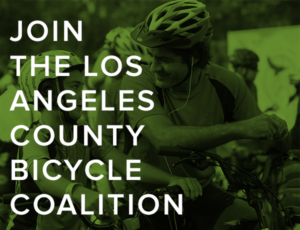 I’m looking for a case involving Class II bikeways where either immunity or liability applies. Thanks for the correction, Les. My understanding was that it occurred on the Sepulveda pass, rather than the Sepulveda Basin. And I would be very happy to learn that the part about it applying to some class II bikeways is incorrect, as well. Broken ankle_ two breaks in fibia. Why ? Pedistrians, sand, lack of signage. Fell as i was leaving bike path…right where city allows a bike rental place to operate out of a permanent structure. Those peds kept walking. I guess they feel like the city about our safety. Sorry to hear that, Richard. I’ve often said that the bike path is the most dangerous place I ride. If you haven’t already, I’d strongly suggest talking to an attorney. The city or county responsible for the maintaining the bike path is required to post warnings of dangerous conditions, but they seldom, if ever, do. A good lawyer could tell you if you have some recourse. Good luck, and heal fast!